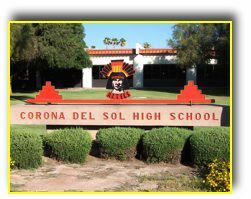 Welcome to the Corona del Sol Aztec Baseball Program web page. This baseball program started in 1977. After 40+ years, the program is still going strong. A big "Thank You " goes to those who have played on any level, tried out for the teams, and have supported this program over the years. State law allows Arizonans to contribute up to $400 to public schools for extra curricular activities, and then deduct that amount directly from their state income taxes through a tax credit. Contributions must be postmarked by December 31 of the year to which you want to apply your tax credit. Please help the CDS Baseball Program by donating to the Tax Credit and asking for your donation to go into the Aztec Baseball Account.